For many people, getting ready to start trading is a nerve-wracking experience. It’s associated with all sorts of potential risks, including complete wipe-outs of capital as well as fraud. However, if you’re looking for a flexible occupation that, when done correctly, can grow your wealth, then trading is a great option for many people. You’ll need more than just a laptop and an internet connection, however. You’ll also need to carry out research and perform your due diligence, and you’ll need to decide between trading some of the most common instruments and finding a market niche that meets your own needs. This article, then, will explore the main ways that you can kick-start a trading career in a safe and hopefully profitable manner. In an age when information and services are readily available around every corner thanks to the internet, it can sometimes seem like finding trading opportunities is simple and easy. However, the reality is that for every worthwhile investment opportunity and for every good broker, there are some that are highly risky. Whether you find them through the internet or in person, you should always investigate every financial advisor or platform you come across. There are several ways to do that. First of all, you should read reviews written by others assessing the way that the platform or provider has treated them. This is also your opportunity to look out for any key features that you’re going to require from your provider, such as a minimum trading amount or a technical function such as mobile trading. You should also ensure that your chosen provider is regulated, usually by the Financial Conduct Authority if you’re based in the UK. If your provider is regulated abroad, then a quick Google search should be able to find the relevant regulator. Common names include the Cyprus Securities and Exchange Commission (or CySEC) and the Australian Securities and Investments Commission (or ASIC). Stocks and shares are perhaps the most famous asset classes out there, and they’re often the instruments that pop into people’s minds first when they hear the term “investment”. The FTSE 100 index, which is Britain’s main hub for high-value, large organisations looking to trade their shares, had a market capitalisation of over £2tn as of last year – indicating just how important stocks and shares are to the UK trading system. 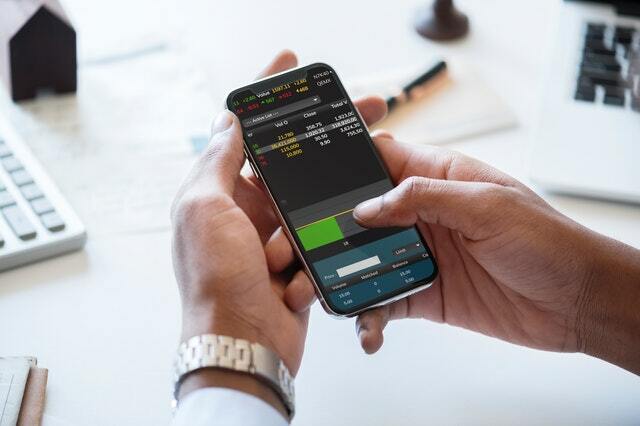 Purchasing stock in an individual company is the obvious way to go about it, but it’s in fact common for people to instead purchase instruments that track a stock index. These products help to diversify your portfolio, as they rise and fall in proportion to the performance of the overall stock market rather than simply the rises and falls of one particular company. The foreign exchange markets seem on the face of it to be a little bit more complex than the world of stocks and shares. First of all, forex instruments themselves are configured differently: each instrument is traded in a “pair” of two currencies together, with investors looking at the value of one of them in relation to the next. Foreign exchange trading has a very high volume, with one estimate placing the amount at over $5tn per day. As is the case with stock market trading and indeed many types of trading, trading forex will often require a choice between the two major forms of market analysis. Some traders, known as technical analysts, will often opt to rely entirely on price data – or information about what other traders are buying and in what volume. To technical analysts, this is all that is required – and some people begin to trade with forextraders.com armed just with that approach. Some forex traders, meanwhile, are fundamental analysts, which means that they make decisions based on wider macroeconomic factors. They may, for example, choose to plan the execution of forex trades around central bank interest rate decisions, which can often have a significant effect on the performance of the forex markets. As a result, having a comprehensive economic calendar that shows all of these dates ahead of time is a good idea. Moving into the trading world is not an easy task, but it’s one that can be done with a bit of work. Not only do you have to carry out significant due diligence in order to be sure that your selected broker is legitimate, but you’ll also need to distinguish between the several varieties of asset class out there and be sure that the one you go for is appropriate. However, when that’s done, a positive trading career may well lie ahead.